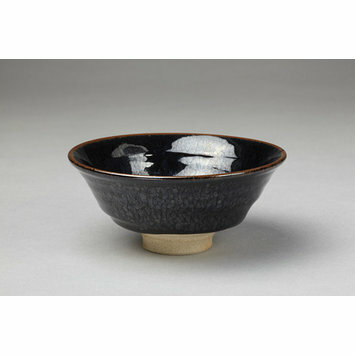 Tea bowl, of standard form with highish footring and slightly everted rim. Clockwise swirl within footring. 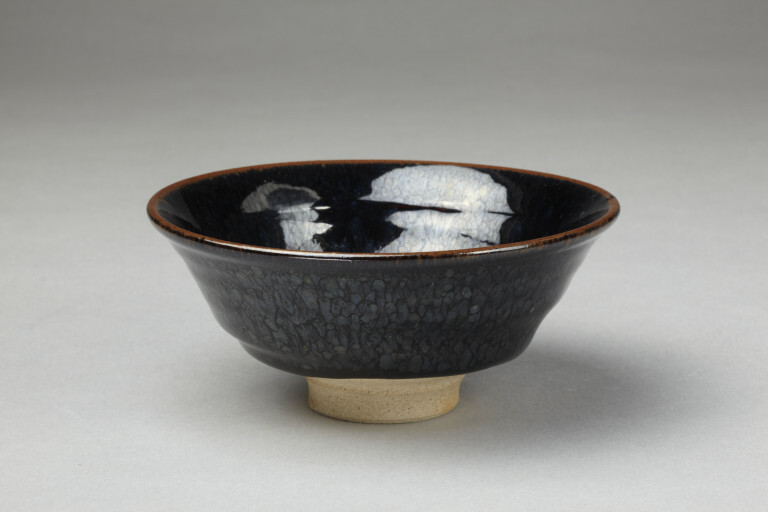 Coarse buff body visible on base and lower part of sides; rest with thick black glaze with blue iridescence, turning to brown at the rim.